Biochemistry is an introductory course, designed for both biology and chemical engineering majors. A consistent theme in this course is the development of a quantitative understanding of the interactions of biological molecules from a structural, thermodynamic, and molecular dynamic point of view. A molecular simulation environment provides the opportunity for you to explore the effect of molecular interactions on the biochemical properties of systems. This course assumes that students have taken introductory chemistry, including basic thermodynamics, as well as introductory organic chemistry. An introductory biology course is not a prerequisite for the course, but students would benefit from some prior exposure to biology, even at the high school level. Required mathematical skills include simple algebra and differential calculus. Predicting how changes in structure affect function. Utilizing quantitative approaches to characterize structure-function relationships in biochemical systems. The course begins with amino acids and transitions into protein structure and thermodynamics. Protein-ligand binding is treated for both non-cooperative and cooperative binding using immunoglobulins and oxygen transport as examples. The enzymatic function of proteins is explored using serine and HIV proteases as examples. Enzyme kinetics is treated using steady-state kinetic analysis. Enzyme inhibition is treated quantitatively, using HIV protease as a key example. Carbohydrate and lipids are presented in sufficient depth to allow the student to fully understand major aspects of central metabolism. The discussion of metabolism is focused on energy generation, fermentation, and metabolic control. The course concludes with an extensive section on nucleic acid biochemistry. The focus of this section is to provide the student with sufficient background so that they are literate in the recombinant DNA technologies as they relate to protein production using recombinant methods. Protein function, including oxygen transport, antibody function, and enzyme catalyzed reactions. Structure and function of carbohydrates and their importance in central metabolism. Central aspects of metabolism and metabolic control. Nucleic acid biochemistry, with emphasis on recombinant DNA technology. Predict how changes in structure affect function. Utilize quantitative approaches to characterize structure-function relationships in biochemical systems. Explain the molecular structure of Water. Identify hydrogen bond donors and acceptors. Predict the solubility of compounds in water. Predict the strength of hydrogen bonds based on geometry. Provide a general overview of biochemistry based on component parts. Calculate the amount of a weak acid and its conjugate base to make a buffer system. Calculate the amount of an acid that is protonated at any given pH. Calculate the net charge on a molecule, at any pH. Understand the relationship between the structure and acidity of an acid. 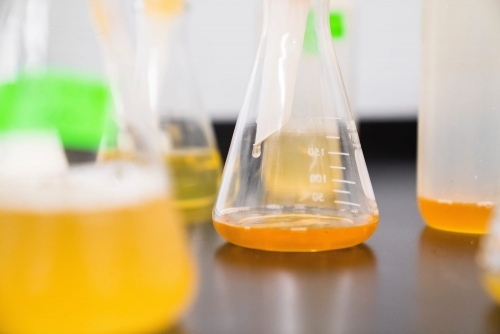 Understand why solutions of weak acids resist pH changes. Characterize molecular forces between antibody and antigen. Define the terms antigen, epitope, and hapten. 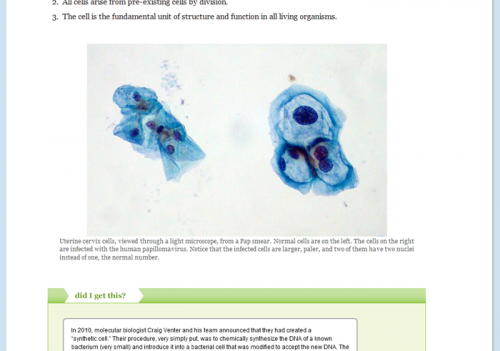 Describe the process of antibody production by B-cells. Determine the interaction of each amino acid with water. Distinguish between primary, secondary, tertiary and quaternary structure. Draw the structure of all amino acids. Generate the primary sequence from sequencing data. Identify chiral centers on amino acids. Interpret changes in ΔH and ΔS. Join two amino acids into a dipeptide. Obtain ΔH and ΔS for protein unfolding from experimental data. Predict degree of protein unfolding given ΔH and ΔS. Predict the result of treating a protein with different cleavage reagents. Relate thermodynamic forces to the stability of super-secondary structures. Understand consequences of orbital overlap on the configuration of the peptide bond. Understand dominant enthalpic forces that stabilize proteins. Understand geometrical properties of linear polymers. Understand the relationship between primary, tertiary, and quaternary structure of antibodies. Understand the role of hydrogen bonds in the stability of secondary structures. Understand the role of the hydrophobic effect in protein folding. Understand why trans peptide bonds are more stable. Calculate amount of oxygen delivered from binding curves. Compare and contrast homotropic and heterotropic allosteric effectors. Compare and contrast structures and binding curves of myoglobin and hemoglobin. 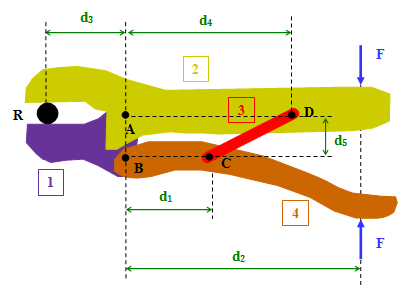 Construct Hill plot and obtain KD and Hill coefficient. Describe how the amount of ligand bound is affected by the ligand concentration, both at low and high [L]. Determine the dissociation constant, KD directly from binding data. How allosteric activators and inhibitors affect binding. Interpret KD in terms of inter-molecular interactions. Relate the Hill coefficient to the molecular behavior of the system. Understand role of allosteric modulators in oxygen delivery. Understand the molecular basis of oxygen transport. Be able to describe how the substrate concentration affects the rate of enzymatic reactions. Calculate the rate enhancement due to transition state stabilization. Compare and contrast the structure and mechanism of HIV protease to serine proteases. Describe the factors that contribute to stabilization of the transition state. Determine the dissociation constant for inhibitors. Distinguish between enthalpic and entropic stabilization of the transition state. Explain the difference between competitive and non-competitive inhibitors. Identify steps in viral replication that are suitable for inhibition with drugs. Interpret KI values within the context of molecular interactions. Understand the basis of substrate specificity. Understand the difference between reaction rates and KM and kcat. Understand the mechanism of serine proteases. Understand the relationship between substrate concentration and the rate of product formation. Calculate and interpret specific activity. Determine quaternary structure of a protein. Distinguish between molecular weight determination methods. Distinguish between the importance of amplitude and phase in X-ray structure determination. Understand the principles of separation techniques. Describe how ring structures of saccharides are formed. Describe the structure of bacterial cell walls. Draw the chemical structure of aldoses and ketoses. Identify the anomeric carbon in cyclic monosaccharides. 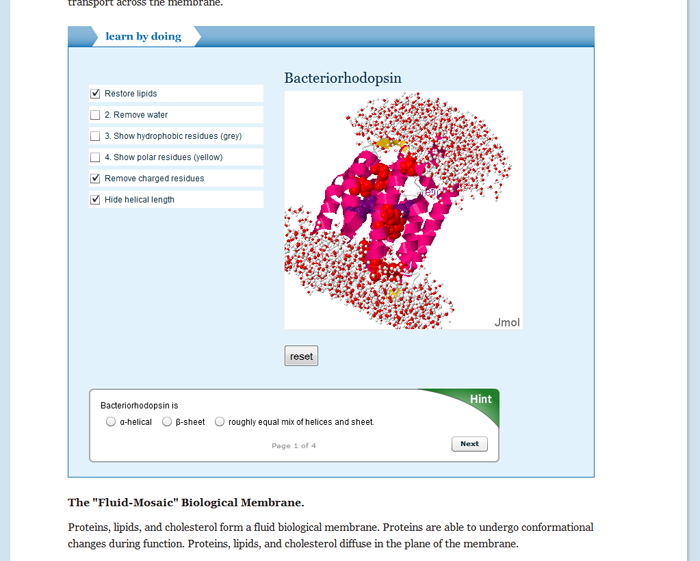 Calculate the energetics of membrane-protein interactions. Describe the thermodynamics of self-assembly of membranes. Draw the structure of Phospholipids. Draw the structure of saturated and unsaturated fatty acids. Draw the structure of triglycerides. Predict membrane permeability of compounds. Predict the critical micelle concentration of fatty acids, based on structure. Predict the melting temperature of fatty acids, based on structure. Predict the melting temperature of model bilayers, based on structure. Be able to describe how intermediates in the TCA cycle are used to synthesize a wide range of compounds. Be able to describe how sugar and fatty acid oxidation are connected to the TCA cycle. Be able to describe where, and in what form, the energy is stored that is released by the TCA cycle. Enzyme Regulation: Role of protein kinases and phosphatases in control of enzyme function. Hormonal Control: Understand physiological role of hormones epinephrine, glucagon, and insulin. How the energy stored in a thioester can be used for ATP synthesis or organic addition reactions. Identify that glycolysis oxidizes the six carbon glucose to produce two three-carbon pyruvate molecules. Identify the cellular location of glycolysis. Identify the role of direct and indirect coupling in metabolic pathways. Know that electron transport flows through complexes I, III, and IV leads to generation of a hydrogen ion gradient across the inner mitochondrial membrane. Know the pathway of the electrons from FADH2 to oxygen, resulting in the formation of water. Know the pathway of the electrons from NADH to oxygen, resulting in the formation of water. Know the role of the four complexes, coenzyme Q, and cytochrome C in electron transport. Predict the direction of reactions using Gibbs free energy. Signal transduction: Understand the role of G-proteins and adenyl cyclase in receptor mediated signal transduction. Understand activation of enzymes by allosteric compounds as a method of regulation. Understand anaerobic metabolism and its role in allowing glycolysis to continue in the absence of oxygen. Understand coordinated regulation of opposing steps in synthetic and degradative pathways. Understand glucose can be synthesized from pyruvate. Understand how both direct and indirect coupling are used to make glycolysis spontaneous. Understand how glycogen degradation and synthesis is controlled by protein phosphorylation. Understand how the energy released by the oxidation is stored as ATP and “high-energy” electrons. Understand regulation by non-covalent and covalent modification of enzymes. Understand that the free energy stored in the non-equilibrium hydrogen ion gradient is sufficient to sythesize ATP from the transport of 3 protons. Understand the major differences between a competitive and uncompetitive inhibitor. Understand the major energy storage methods in metabolism – phosphorylated compounds, redox carriers, proton gradient. Understand the mechanism of ATP synthase, how allosteric changes that occur during proton translocation lead to the conversion of ADP and Pi to ATP. Understand the relationship between the Gibbs free energy change of a step in the pathway and whether the step can be accomplished by the same enzyme in the reverse direction. Understand the structure of glycogen. Calculate TM of a double stranded DNA molecule. Compare and contrast the major factors that stabilize dsDNA and Proteins. Describe the role of tRNA structure in protein synthesis. Design primers for PCR DNA amplification. Determine a protein sequence given a sequencing gel. Discuss the major features that affect the energetics of DNA-protein interactions. Discuss the role of each element in an expression vector. Distinguish between a purine and a pyrimidine. Draw the monomeric structure of a nucleotide. Explain how a polymer of nucleic acid is formed from nucleoside triphosphates. Explain how PCR leads to the amplification of DNA. Explain how proofreading occurs during DNA synthesis. Explain the basis of DNA sequencing. Explain the difference in the chemical stability of RNA versus DNA. Explain the effect of salt concentration on the melting temperature of DNA. Explain why DNA synthesis is always in the 5′-3′ direction. Explain why there is a high mutation rate in the HIV virus. Identify the major and minor group of a base pair. Identify the non-Watson-Crick hydrogen bonds in A-T and G-C basepairs. Identify the Watson-Crick hydrogen bonds in A-T and G-C basepairs. List the essential elements of an expression vector. Provide a description of the structural features of B-DNA. Use restriction enzymes and DNA ligase to generate recombinant DNA molecules. Describe the activities of each protein involved in replication. This is a semester-long course, so it averages approximately three modules/week. Introduction to Chemistry (Stoichiometry) was developed under the direction of Carnegie Mellon University Professor of Chemistry David Yaron, Ph.D.